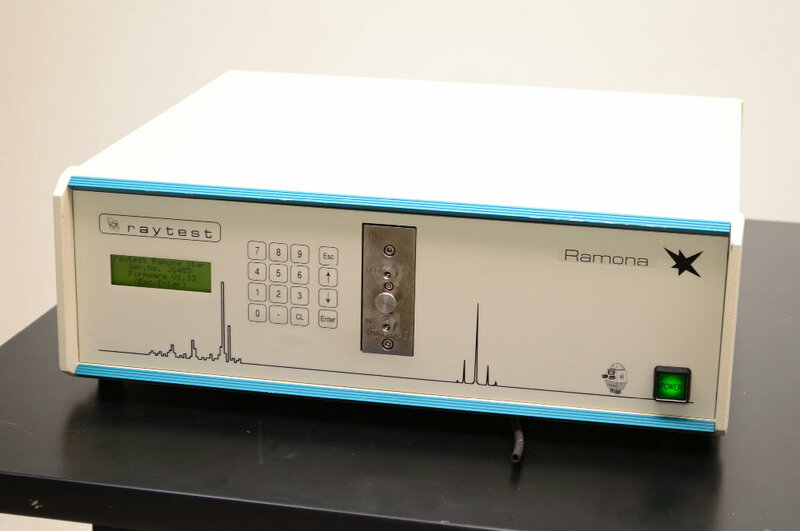 Raytest Ramona Star Radioactivity HPLC Flow Monitor . New Life Scientific, Inc. This flow-monitor is in good condition. Cosmetically it is clean and has been well taken care of with little wear. Functionally it has not been completely tested. It has a fluorescence warning on startup screen but we are still able to go to the menu screen and go through the setup options. The unit was not tested past being turned on and the menu gone through. Please see the images for additional details. Good condition - untested produces a fluorescence error.